This article describes how to configure Azure Active Directory as the SAML Identity Provider (IdP) to change the default AWS Console timeout from 1 hour to a different value. Some good guidance is provided on how to achieve this with ADFS, as described here, but I haven’t yet seen any guidance for Azure AD. 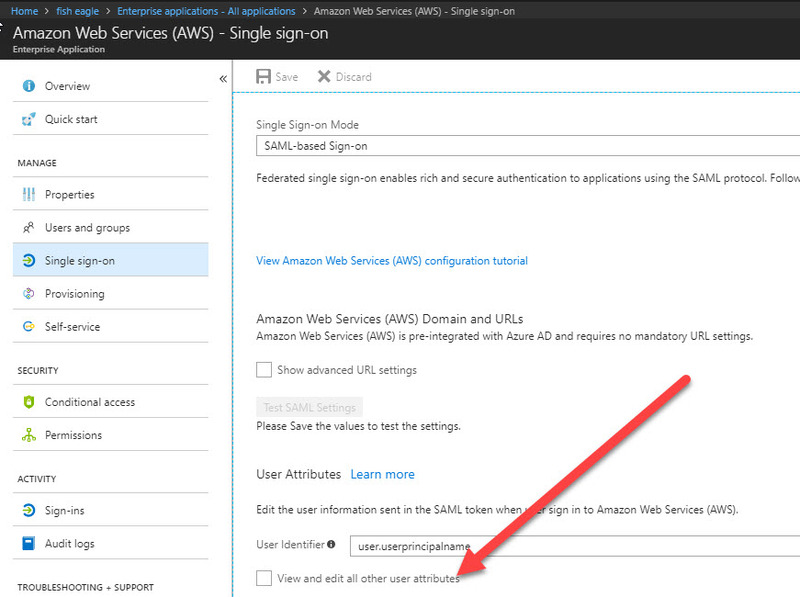 Go to your Azure Portal and open the Single Sign-On blade for your Amazon Web Services Console application. 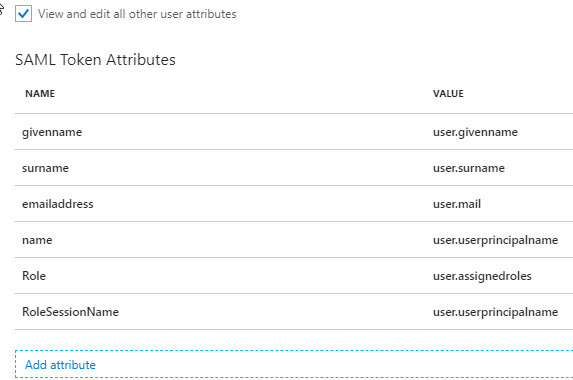 Under the User Attributes section, select the checkbox to expose other user attributes, as shown below. Select the option to add a new attribute. 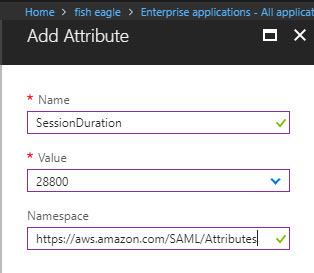 In the Add attribute blade, set the Name value to “SessionDuration” (note that this tag is case sensitive), the Value to the timeout in seconds that you want, and the Namespace to “https://aws.amazon.com/SAML/Attributes“. Then click OK.
Save the changes and you are ready to go and test the new timeout. Posted by admin on March 22, 2018 at 9:11 am under ADFS, Azure Active Directory, SAML.